City Clean is an industry specialists and Birmingham’s leading gas supplier. We are focussed on supplying a wide variety of bottled gases, bottled gas equipment and heating gases to both industrial and domestic clients. We are located in Birmingham, the heart of West Midlands. Since 2011 we are providing our services to our local community and hold a strong reputation for excellent customer service and very competitive prices. 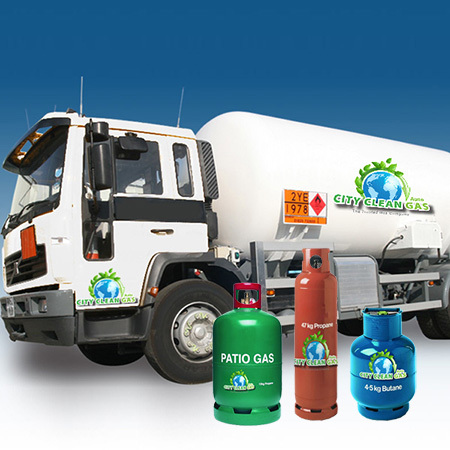 We stock a wide range of gases including Butane, Propane, Autogas for cars and LPG for various applications. We take pride in our dedicated delivery team which regularly serve local customers in Birmingham, as well as clients from the surrounding areas within West Midlands. As well as our dedicated service and excellent customer care, we also have a showroom stocking regulators, hoses, heaters, BBQs and gas bottles etc. When you order appliances and gas online, you will be subject to a £4.99 gas delivery charge and a separate delivery charge for the appliance or appliances that you have selected. This is because gas and appliance deliveries are fulfilled separately from different locations, so therefore we are required to charge separately for them. The cylinder refill terms automatically generates a charge from £44.99 to your basket. When buying a gas bottle from us for the first time, you’ll be subject to a cylinder refill terms, cost starting from £44.99 and if you do not have a gas bottle to exchange, this cost will be automatically added to your order when you order bottle & refill. This is because, although you’re buying the gas from us, the steel bottle itself, remains our property for the duration of its use. This means, that the first time you purchase a gas bottle, you will be subject to this charge but when you’re gas bottle is empty, you can exchange your empty gas bottle for a full bottle within the same group (see gas bottle exchange policy), at just the cost of the gas and you will not have to pay for a cylinder refill agreement again. If however, if your gas bottle is empty and you no longer require gas and do not want to make an exchange for a full bottle, you can return the gas bottle to us and we will refund the cost of the cylinder refill agreement to you on a sliding scale, based on the length of time the bottle has been in your possession.